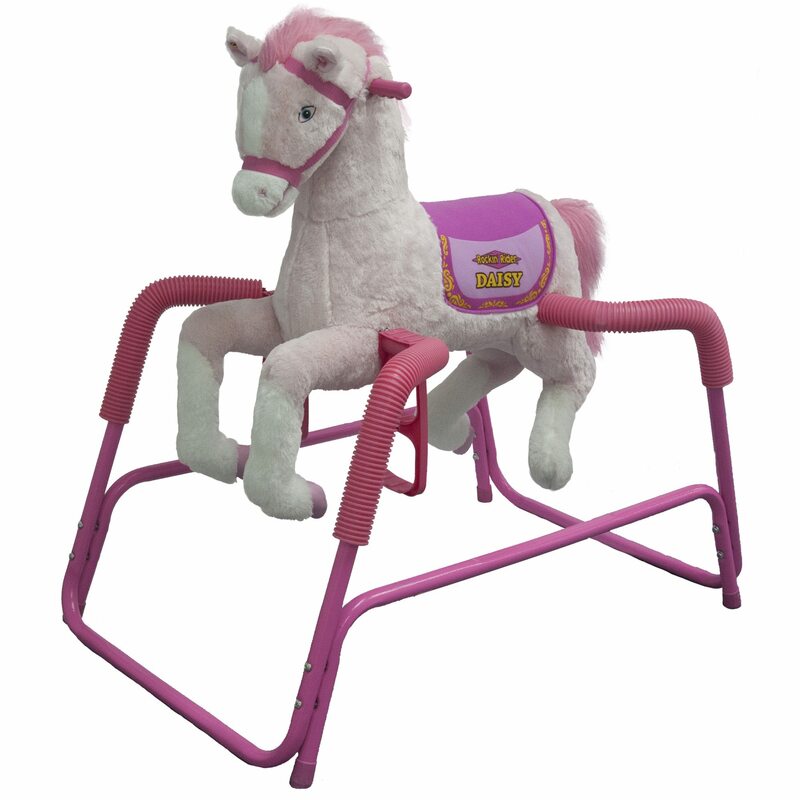 Rockin’ Rider Diamond Spring Horse is your talking, singing pony friend! 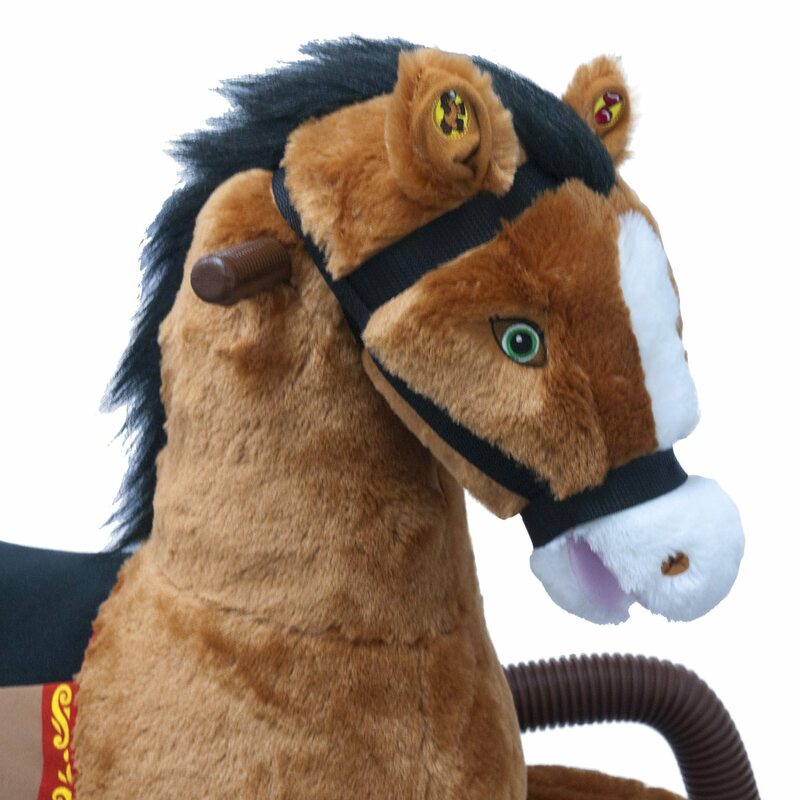 Rockin’ Rider Diamond Talking Plush Spring Horse sings the exclusive “I’m a Little Pony” song when his right ear is pressed and says 6 fun talking phrases with sound effects when his left ear is pressed. 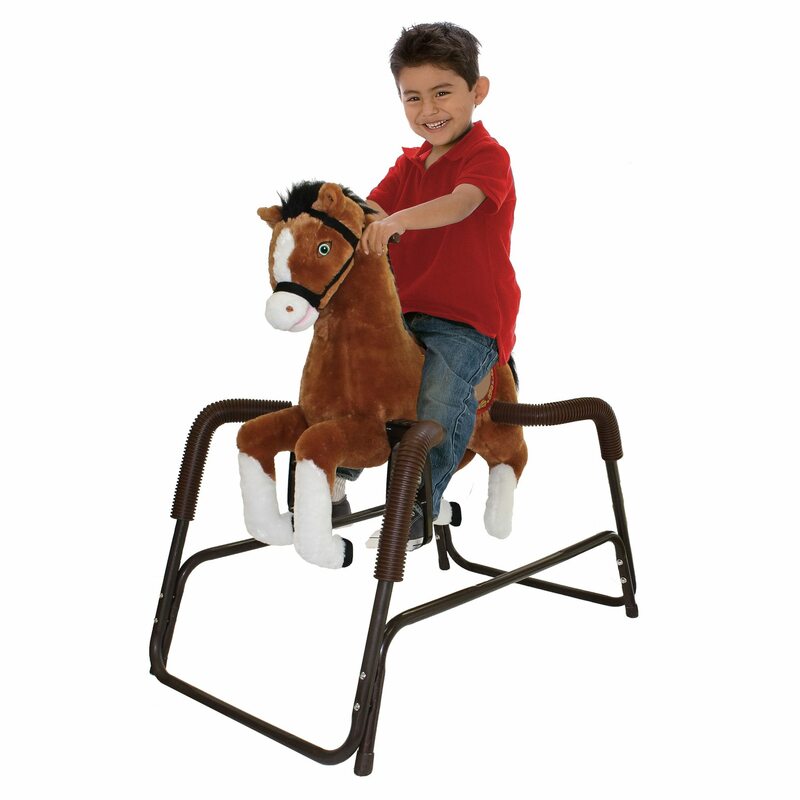 Your child will be amazed by Diamond’s synchronized moving mouth when he sings and talks. 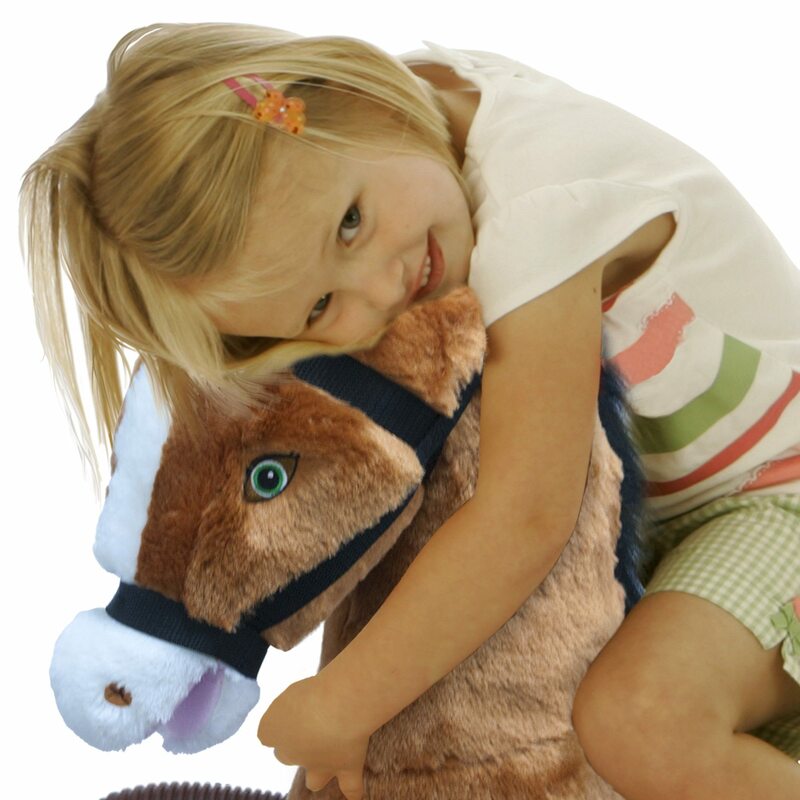 The soft and huggable plush is preferred by both Moms and Kids. 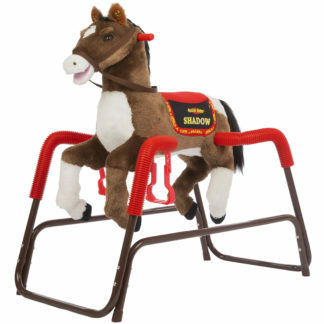 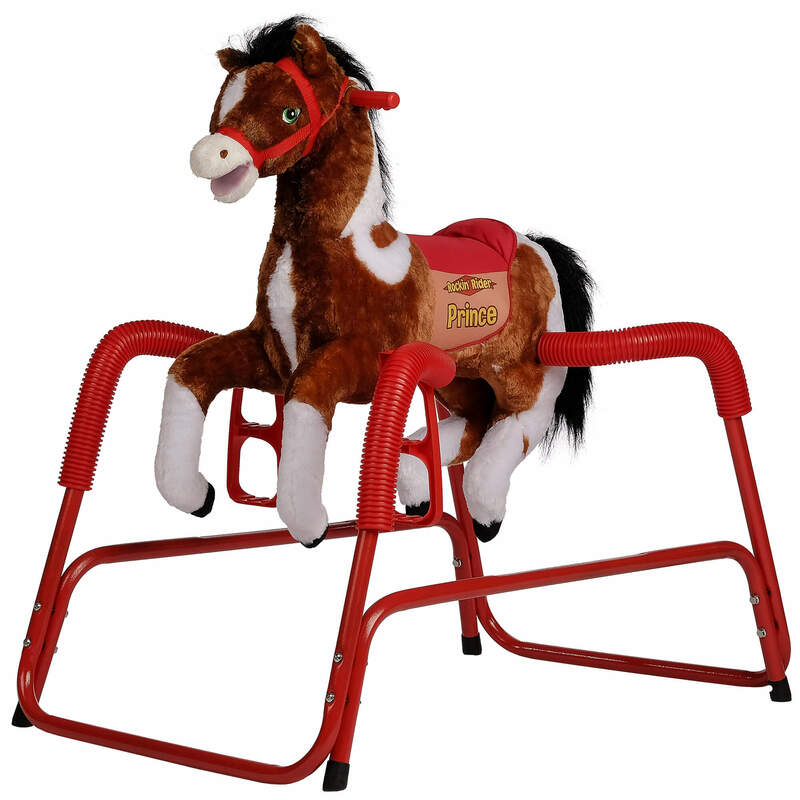 Other features include motion-activated galloping sounds, 3-position stirrups, easy-grip handles, realistic mane and tail, detailed colorful saddle, embroidered eyes, sturdy steel frame and durable spring covers. 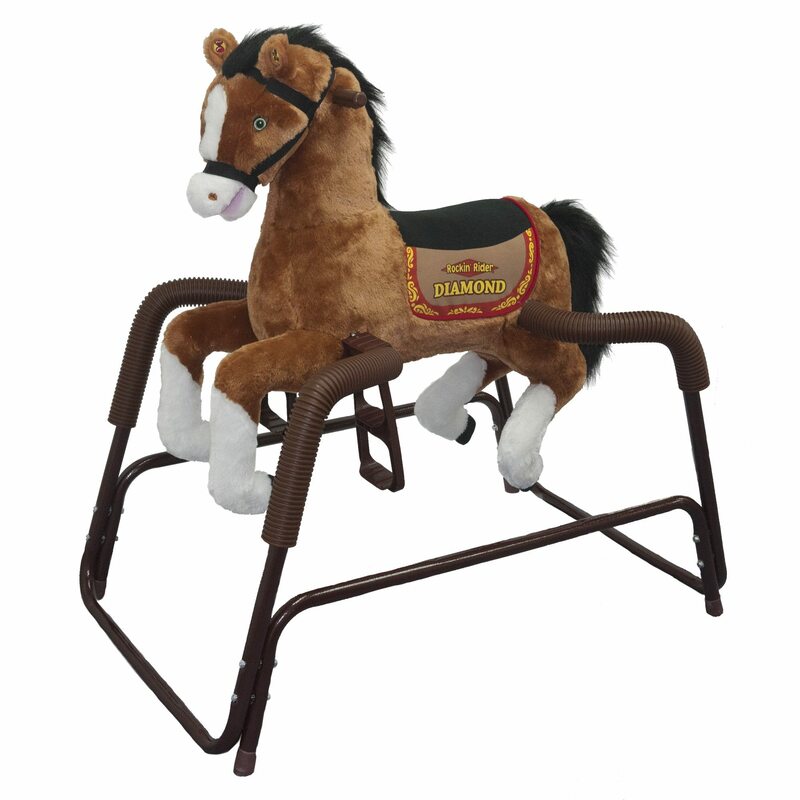 Parents can select the volume level that’s right for their home.